This freestanding two storey office building commands a prominent position on the corner of St Pauls Tce and Brookes Street. 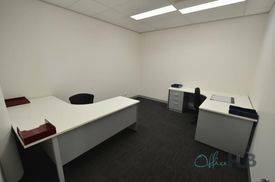 Located opposite the Fortitude Valley State School development site and diagonally across the road from the prominent RNA Showgrounds development, it provides for corporate office space in conjunction with basement storage and technical space. The property is easily accessed by both Brookes Street and St Pauls Terrace and is within walking distance of bus and rail transport, whilst being on the doorstep of the growing amenity within Newstead and Fortitude Valley. Property particulars:- High quality 1,202m2 office building - External break out area/balcony- Signage opportunities facing St Pauls Tce and Brookes Street- 18 on grade car parks- Shower and amenities- Lower ground floor storage/technical space- Corporate fitout- Close to all modes of transportBowen Hills is at the junction to the rapidly evolving Fortitude Valley, with its residential developments and retail precincts. 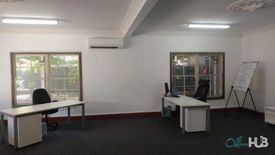 It is also located within close proximity to the Royal Brisbane Hospital campus and the soon to be completed Sullivan Nicolades head office. To arrange an inspection, please call agent Jay Whatley. 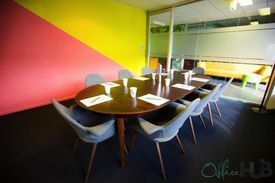 Premium grade office spac.. Price: $990pw | 15 Person Worksp..
Abundance of natural ligh.. Price: $290pw | 4 Person Workspa..